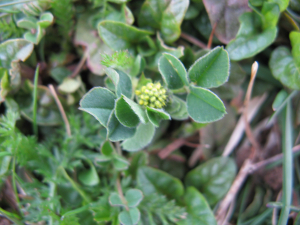 Observation - very early Medick flower - UK and Ireland. Description: New emergent Medick flower, hardly any colour yet. New emergent Medick flower, hardly any colour yet.